I have reached a personal milestone in World of Warcraft - level 40. That, and a pile of gold from my other half, means that I have a faster, cooler method of transportation. 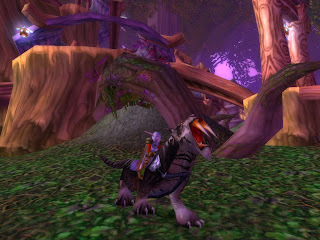 That is the one thing I hated about World of Warcraft; all the running around. Now I can dash right on past all the lowbies and mobs!